How the Superfeet insoles feel under your feet. The space in the footwear filled by your foot and the insole. 1. 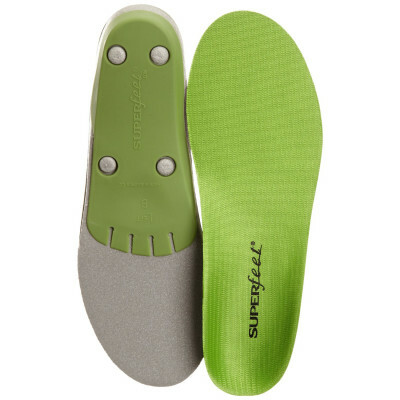 Structured heel cup: Encapsulates and positions the soft tissue under the heel, maximizing natural shock absorption. 2. 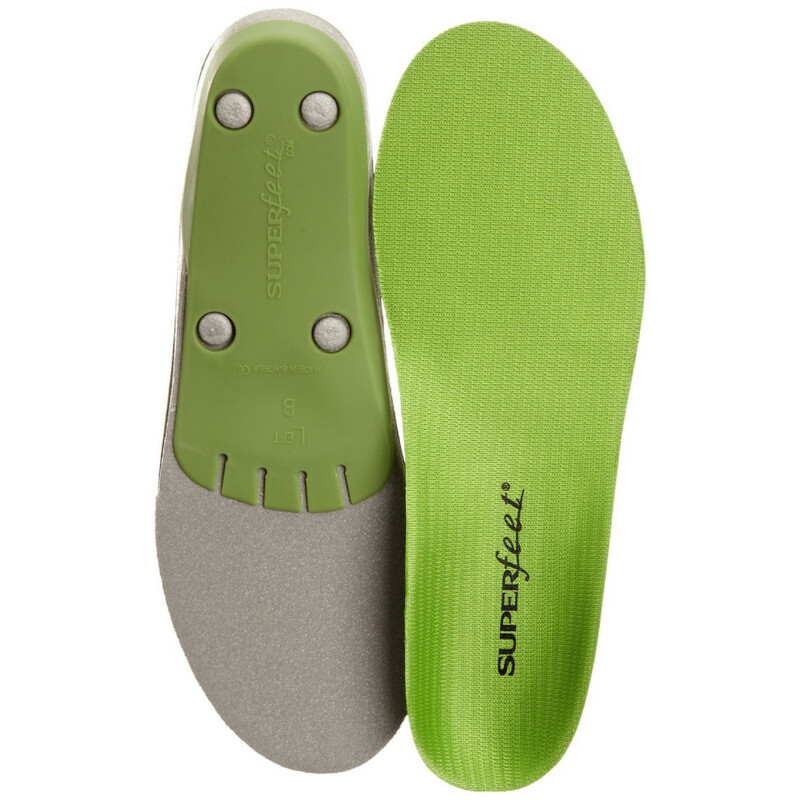 Rearfoot support: The support you feel towards the back of your arch and the front of your heel is the distinct Superfeet shape stabilizing the rearfoot. 3. Firm stabilization: A firm foam layer and a stabilizer cap combine to create the supportive shape that Superfeet are famous for. At Superfeet, we focus on supporting the rearfoot because it is where the majority of foot motion (standing, walking and running) originates. Movement adds stress upwards of 3x to 5x your body weight in impact forces per step or stride. On average active people take 8,000-13,000 steps per day. If the feet aren’t supported correctly, unstable movement can lead a whole host of foot health issues. 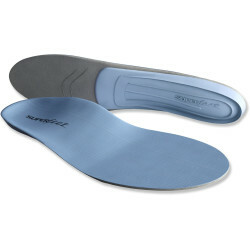 Superfeet help stabilize your feet so they can work more efficiently.